Are you having trouble losing weight or just getting into shape? 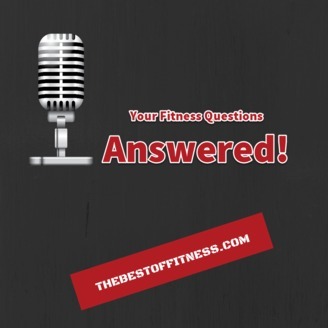 Your fitness questions answered podcast provides you will all the information you need to achieve your fitness goals. Should a beginner lift weights everyday if they are trying to lose weight? Your fitness questions answered. This question is brought to you by onlinefitnessthatworks.com. A smart, simple, effective online program that helps you transform your body. Make sure you go check it out if you need some extra motivation to achieve your goals. This is Casey Miller and here is your fitness question of the day. Should a beginner lift weights every day if they are trying to lose weight? I actually see nothing wrong with lifting weights every day if you're trying to lose weight. Now every day may seem kind of excessive but as long as you have the right program set in place with some recovery days and you're not performing the same workout or workload over and over, your body will adjust after a couple of weeks. Now, if you are going to be lifting weights generally speaking you're going to be building muscle and you will actually gain weight. If gaining weight is okay with you and it typically is because people just think that if they lose 5 pounds they will look better but in most cases you can gain 10 pounds of muscle and really achieve the look that you're after. In the end it really just comes down to your goal, if your goal is to look and feel better, then don't worry about losing weight, instead focus on building muscle and losing body fat. Don't forget to follow a program that changes intensity level throughout the week and has a couple of recovery days in place. It might take you a couple weeks to adjust to working out but in the end it will be worth it. If you have any fitness related questions, please send me an email at casey@thebestoffitness.com. If you know anyone that could benefit from this podcast, please share this with them. 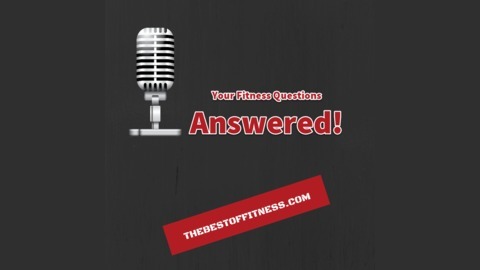 For more fitness related questions, please visit thebestoffitness.com. If I walk fast, will that help me lose weight? What issues do you see about being fat? What type of exercises should I be doing as a beginner and who is weak?